Smartphones are a necessity and the advancement of the technology has made it easily available as well. There are different smartphones available in different price ranges. If you have the budget under INR 25000, then here are the 5 best options you have, to purchase a smartphone in India. 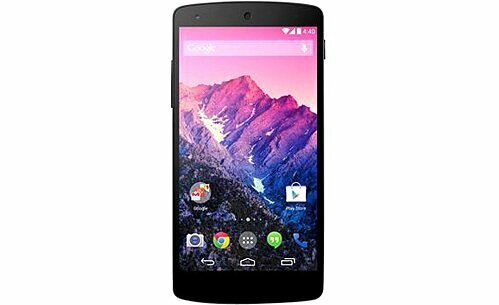 Google partnered with LG for the Nexus 5 and came out with an excellent smartphone that is widely popular. The 32 GB variant is particularly preferred due to the specifications. It runs on Android 4.4 KitKat (Update Available) and is powered by 2.3 GHz Quad Core Processor of Qualcomm Snapdragon 800. It has 4.95 inches of HD IPS Display with high pixel density. The phone is additionally powered by 2 GB of RAM and 32 GB of Native Memory. It has 8 MP Rear Camera with loaded features and 1.3 MP of Front Camera in addition. It uses a 2300 mAh battery and is priced at INR 24,962. Samsung Galaxy A8 is one of the most successful and popular smartphones in Indian Market. The 5.7 inches of Super AMOLED display of the phone is stunning and user-friendly. It runs on the Android 5.0 Lollipop and is powered by the 1.8 GHz Octa-Core Qualcomm Snapdragon 615 Processor. The phone is coupled with 2 GB of RAM and 32 GB of Internal Storage. As far as the camera is concerned, Samsung made sure that it is of high quality and gives 16 MP Rear Camera with LED Flash and 5 MP front camera. It uses a 3050 mAh battery. The phone is priced at INR 24800. Huawei Ascend P6 is one of the latest smartphones that have captured eyeballs. The 4.7 inches display of the smartphone looks stunning. The phone runs on Android 4.2.2 Jelly Bean and is powered by 1.5 GHz Quad-Core Huawei K3V2 Processor. The phone has 8 MP Primary Camera and 5 MP Secondary Camera with loaded features. It is equipped with 2 GB RAM and 8 GB of Internal Storage. The price of the phone is INR 24699. Sony Xperia Z3 Plus is one of the most popular phones from Sony. The phone runs on Android 5.0 Lollipop and has a 5.2 inches display. The phone is powered by Octa Core Qualcomm Snapdragon 810 Processor. It is coupled with 3 GB of RAM and 32 GB of Internal Storage. Sony is known for excellent camera and the 20.7 MP rear camera and 5 MP front shutter does all justice to its reputation. It uses 2930 mAh battery and is priced at INR 23599. Apple iPhone does not need any introduction and the iPhone 4S is available under this budget in India. The 3.5 inches of the screen of iPhone 4S looks fitting with an excellent display. Even though the specification looks bit less than others, with 512 MB RAM but the powerful IOS 5 and Apple A5 Processor make it for that. The phone has one of the best camera in the market in all ranges. It has the 4 MP rear camera with excellent image quality. It is priced at INR 24500. All of these phones are very popular in the market for high quality and features.